Ha! Can you tell that we’ve been working hard on our weather vocabulary? 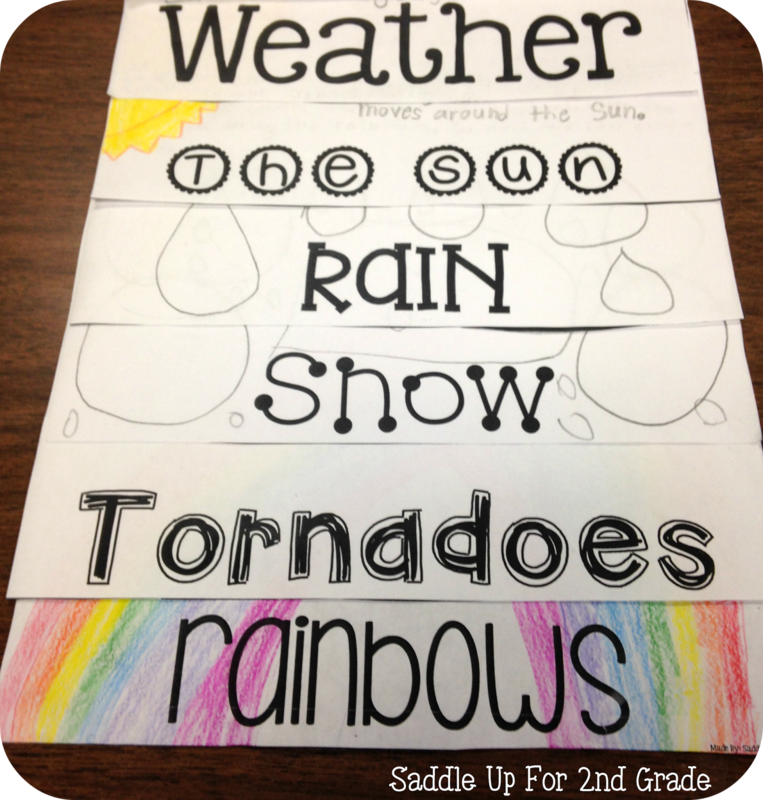 We learned about all about different types of weather. 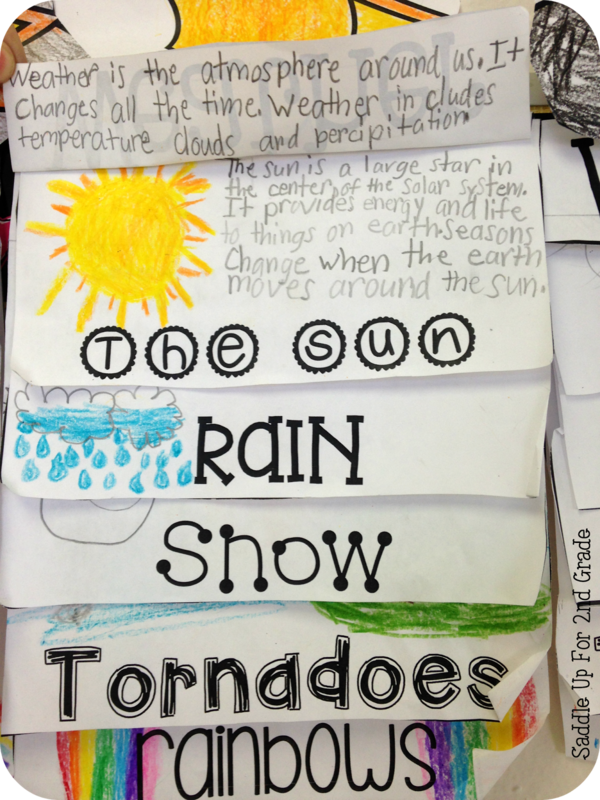 After researching each type, my students wrote what they had learned about in their weather flip books. Here is a few snapshots of their research. 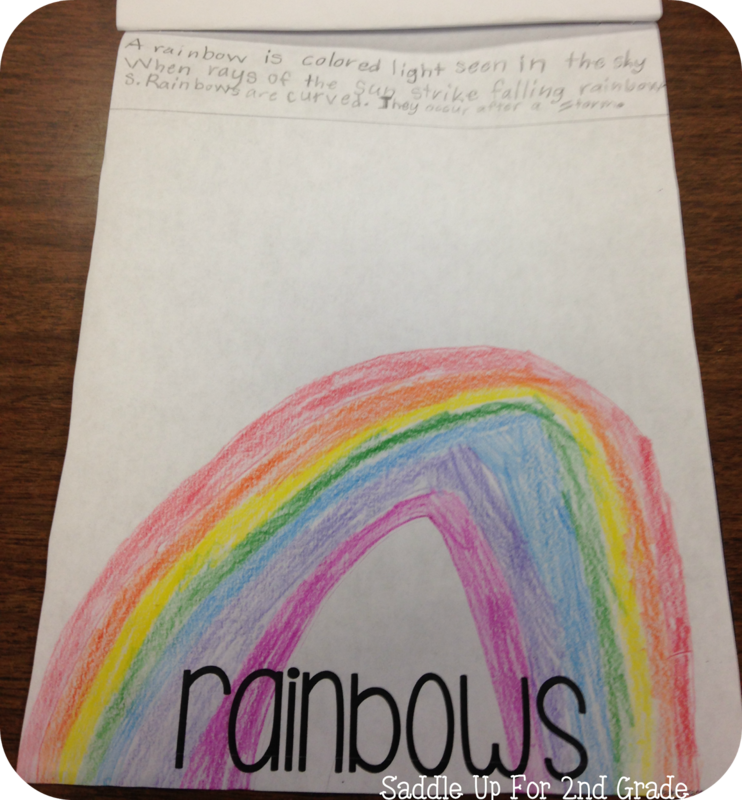 We started out by learning how important the sun is and how it effects our weather patterns. Their little minds were blown when I told them that it was summer on the other side of the world right now. 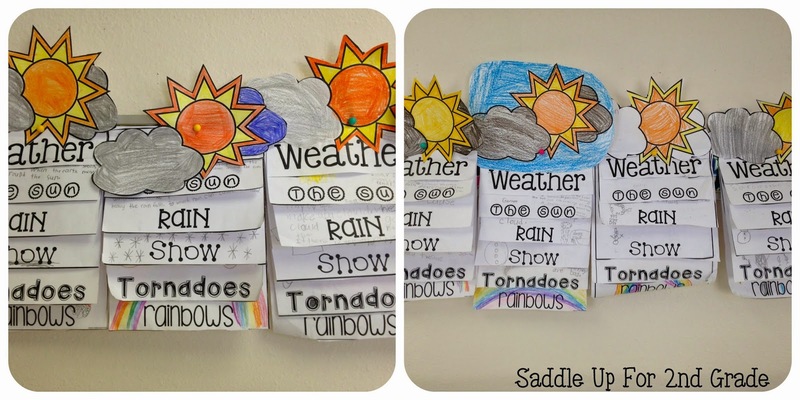 I love this ones illustration of rain clouds! Snow is something that doesn’t happen to often in Texas. A lot of them have never even seen more than just a few flurries. We did lots of research on how different parts of the United States receivesdifferent amounts of snow. I went to google, and pulled up a picture of a house snowed in over the door. They could not believe that stuff like that really happens. Ha! I just love how they turned out. 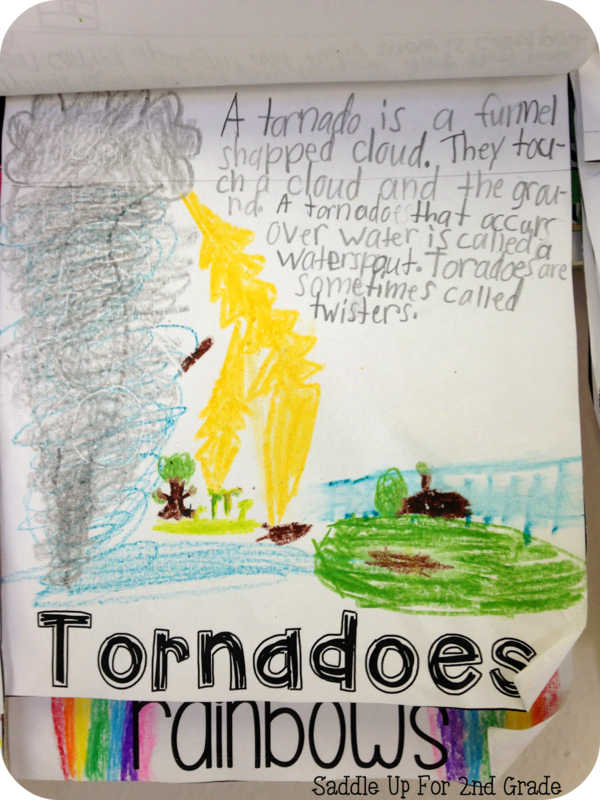 They did most of the writing themselves which made me one proud teacher. 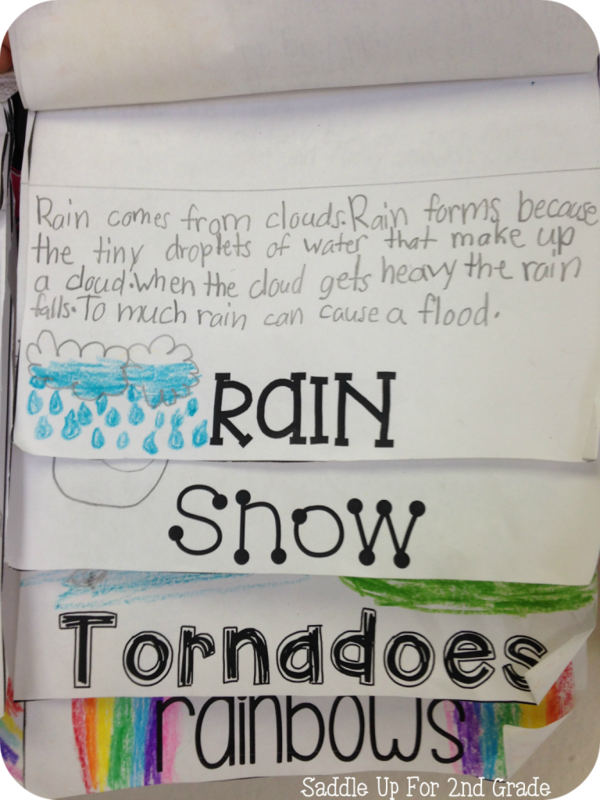 I only had to model a few times before they got the hang of how the information should be presented. 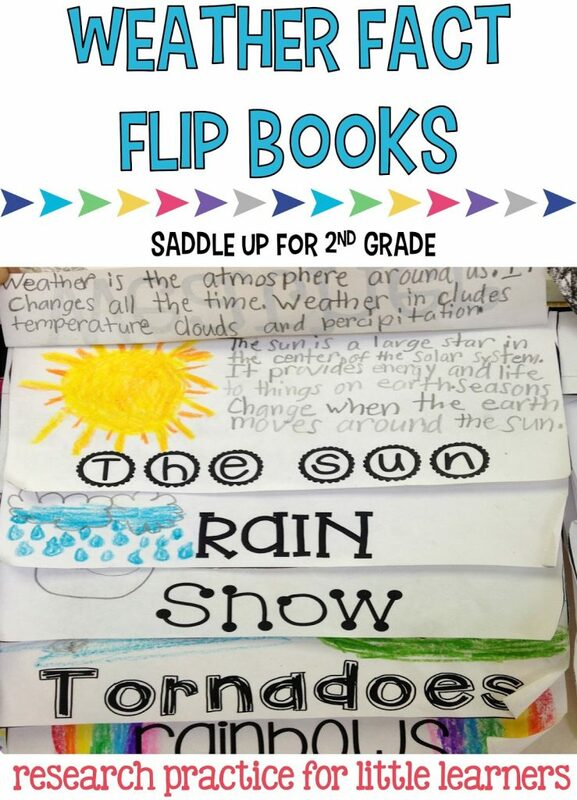 You can grab these flip books here. 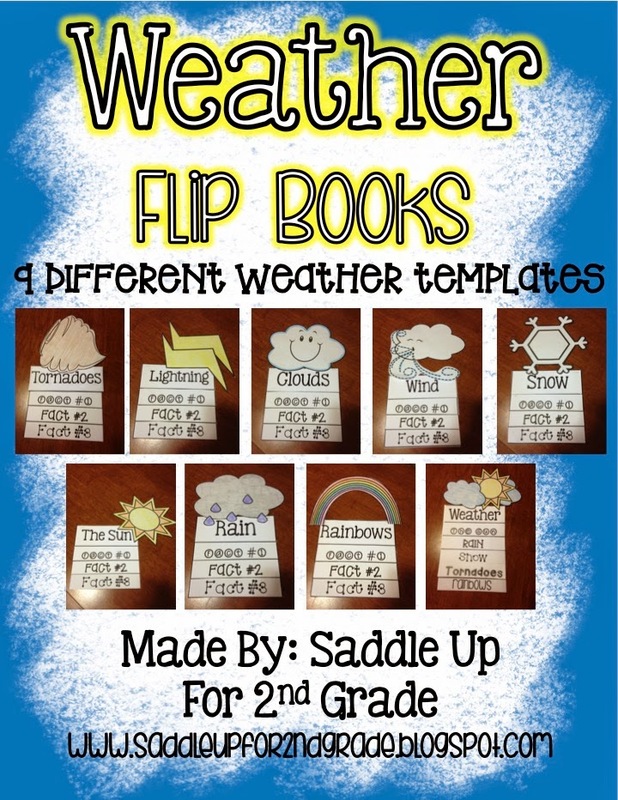 Individual weather fact books are also included. 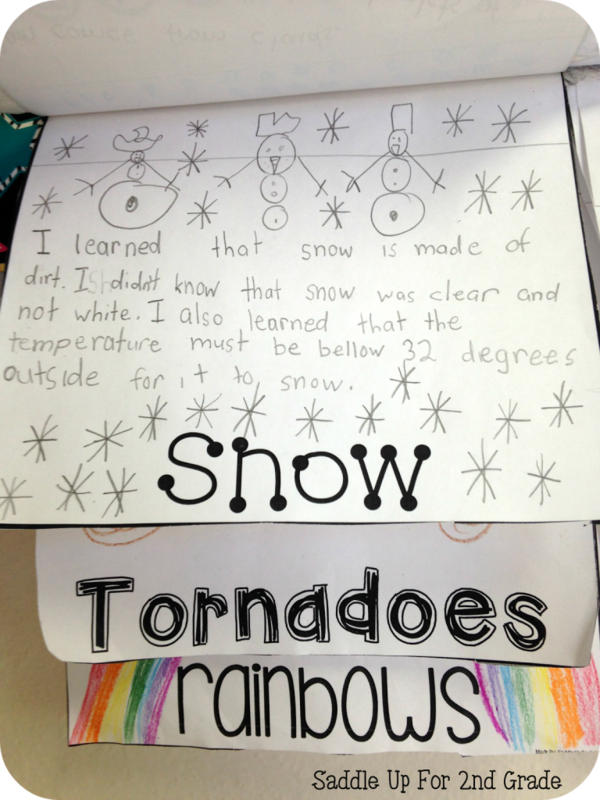 My original plan was to have them pick their favorite type of weather at then of our unit. Then write about it. We just didn’t get to that part.